Let the 2018 Chinese New Year feasting begin! Here's sharing some of my favorites from Xin Cuisine Chinese Restaurant at Holiday Inn Singapore Atrium. 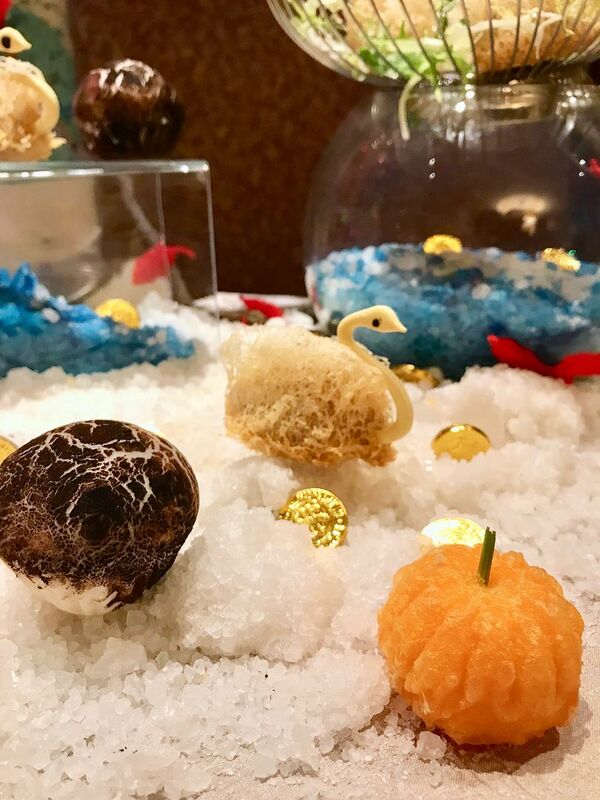 I had high expectations of the restaurant since the revamp (read my earlier food review of Xin Cuisine here) and Chef Chan Shun Wong did not disappoint. Toss your way to prosperity with the Salmon Yu Sheng with Fish Skin and Passion Fruit Yogurt Dressing ($78/$98). The tangy, refreshing, and crunchy dressing was perfect with the crunchy vegetables and deep fried fish skin. The salmon slices were of the sashimi cut and we really appreciated the generous serving. 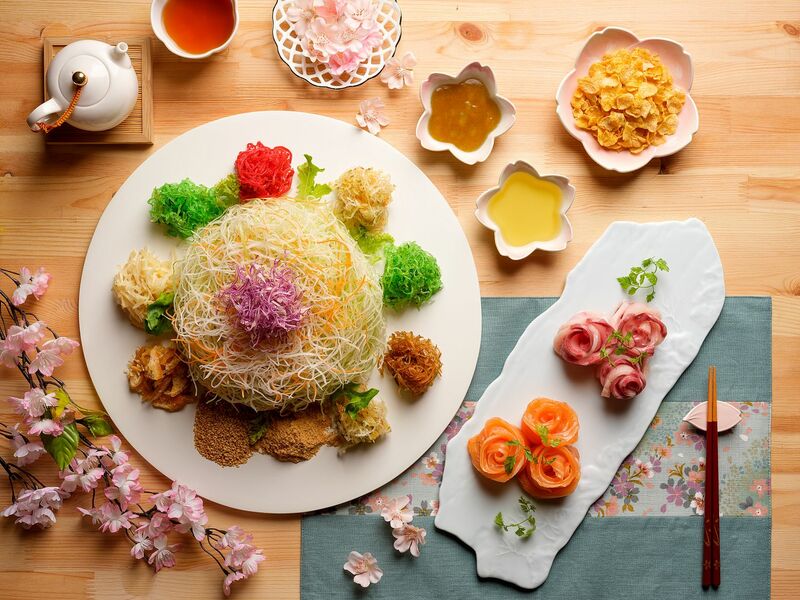 The yu sheng is also available for takeaway and you can choose from a variety of toppings. 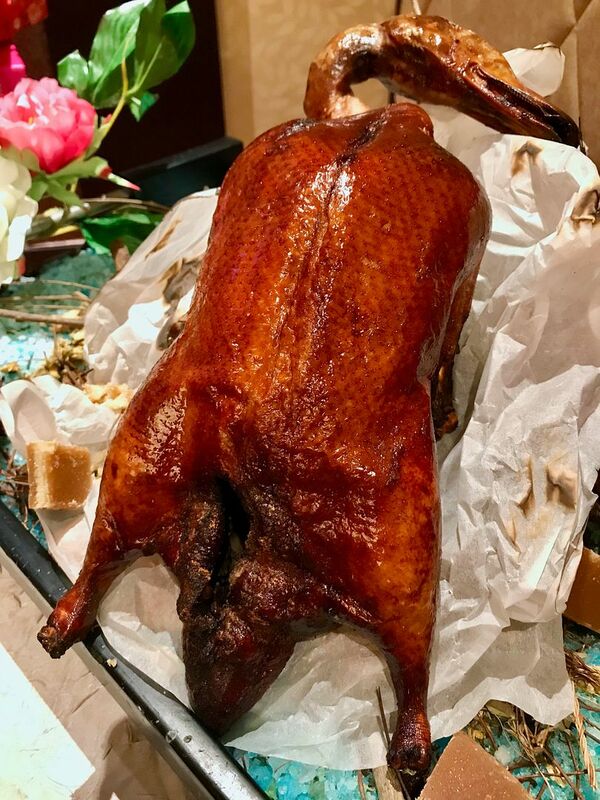 How about suckling pig in a Peking Duck style? We had the indulgent BBQ Suckling Pig with Foie Gras, Yam and Japanese Cucumber, which was a crispy sandwich of the mentioned ingredients that were roasted and fried, sweetened by hoi sin sauce. Love the texture but it's on the oily side, especially from the battered and fried foie gras. 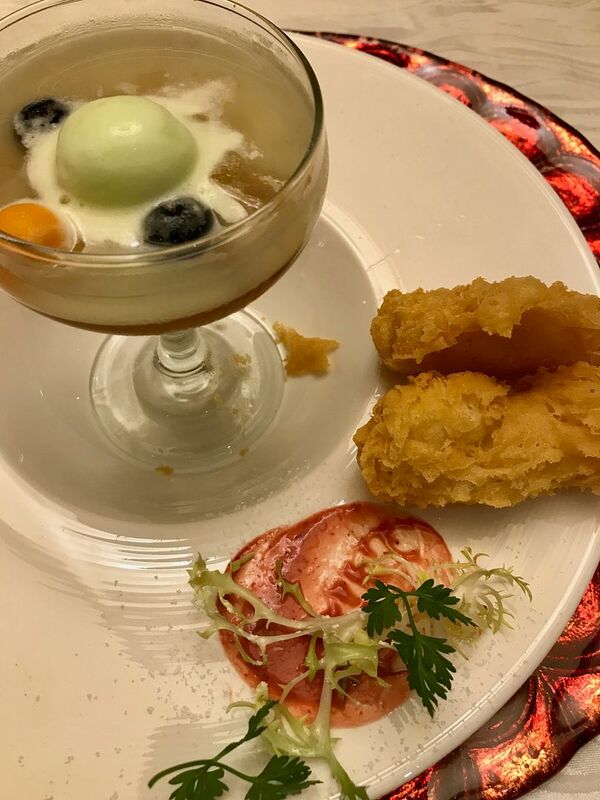 Surprisingly, the foie gras provided a salted egg yolk type of flavor to each bite. I would think that the Home style Roast Duck with Tea Leaves ($68 whole duck) would be a better option. My favorite part of the meal was definitely Xin’s Traditional Treasure Pot ($248/$388). 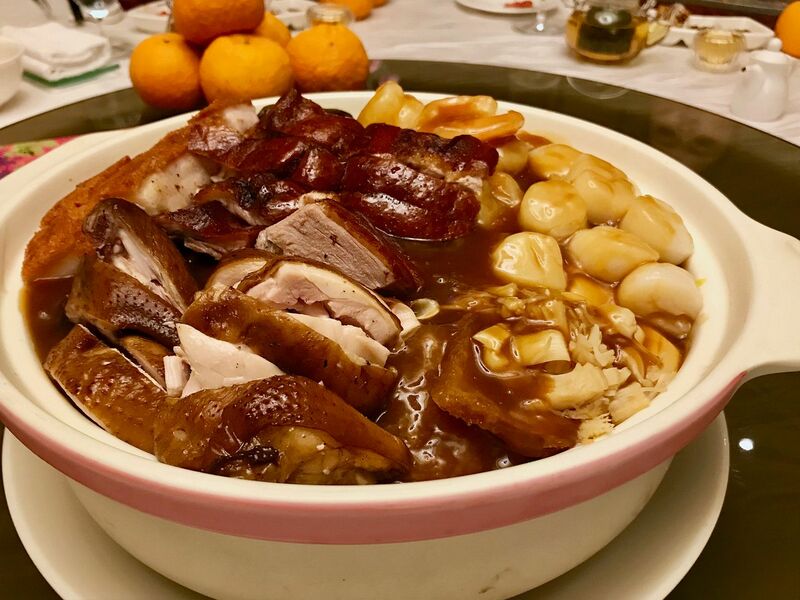 The pot of treasure consists of 14-headed whole abalone, fresh plump scallop and prawns, dried oyster, soya chicken, roast duck and pork, pork rind, fish ball, dried bean curd skin, Ling Zhi mushrooms, lotus root, baby corn, flower mushroom, black moss, baby chinese cabbage and radish. The sauce is the key to the dish and we loved the meaty and seafood flavor in it. All the items were well braised and each cooked to perfection. I'm so getting this for my CNY dinner. There's also an Abalone Treasure Pot ($288/$428) if you fancy more decadent ingredients. If only the Fried Brown Rice with Roast Pork, Diced Shrimp, Peanut and Raisin tasted as good as it smelled. There wasn't much flavor to the rice other than the wok hei taste. Wok hei. Oily lo. Doesn’t have much flavor to it. 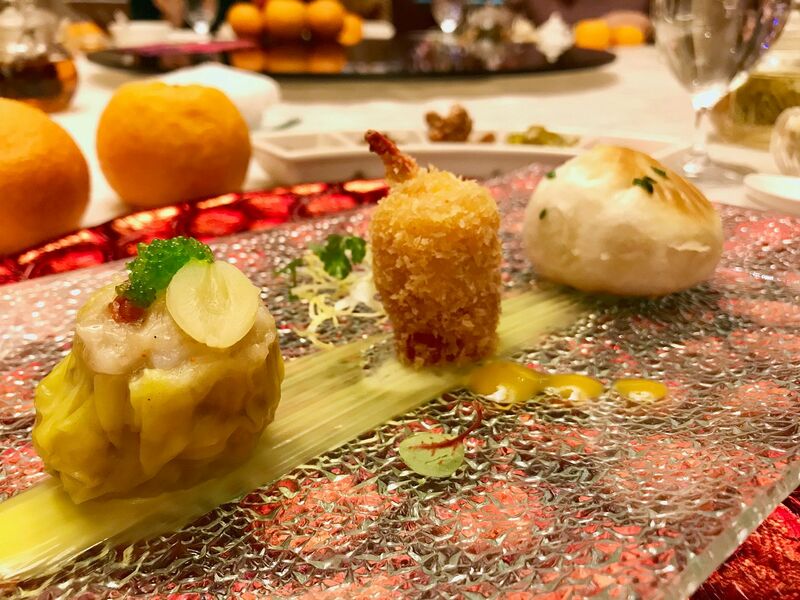 For lunch celebrations, which i recommend highly because Chef Cheung is a master of those handcrafted dim sum, enjoy some special festive bites such as the succulent Steamed Pork Dumpling with Truffle (with a light earthy fragrance). The Pan-fried Morel Mushroom and Pork Paste Bun is crispy on the outside, with a thin chew dough encasing a hearty and saucy pork filling. The Deep-fried Crab Claw Dumpling with Fish Roe was surprised me with its juicy interior as i didn't expect that of something breaded and fried. The Lunar New Year Dim Sum are available for lunch only starting from $21 per serving. For sweets, what's new this year is the D24 Durian Nian Gao ($58/box). This sticky chewy cake is made with real durian flesh but was fragrant without being too overpowering. 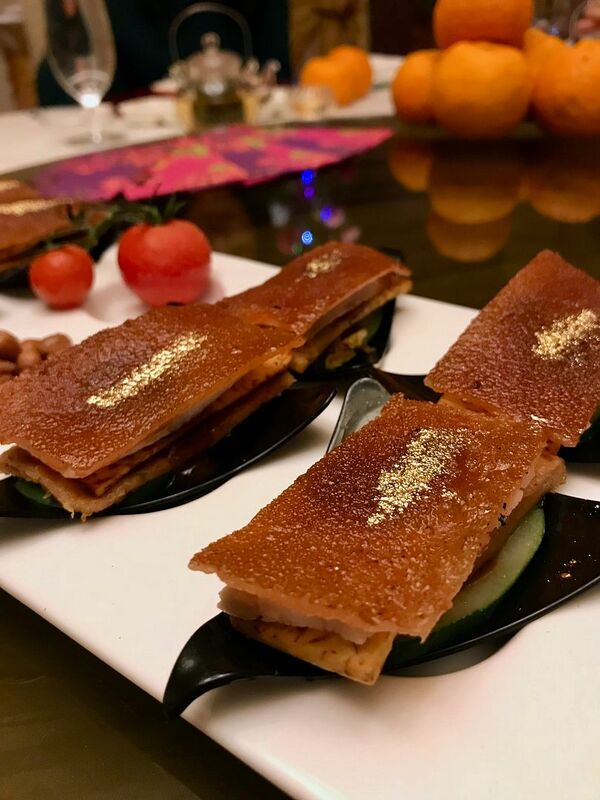 At our tasting, we had it battered and fried and the texture of the nian gao when warmed was delightful (just slightly more chewy than mochi). The Lime Sorbet, Aloe Vera, and Lemongrass Jelly dessert that we had with it was a refreshing end to the meal. 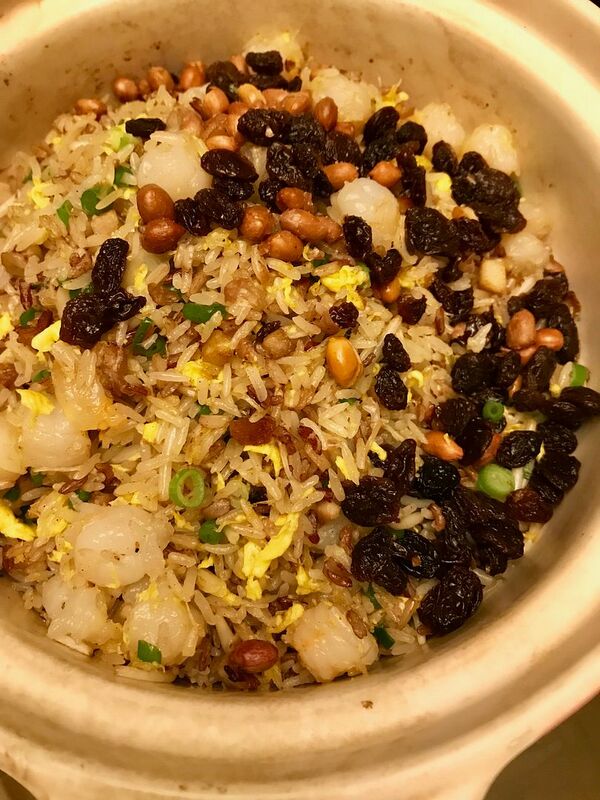 Xin Cuisine Chinese Restaurant will be serving 8 special menus from now till 3 Mar 2018. Make sure you get your booking sorted out soon.